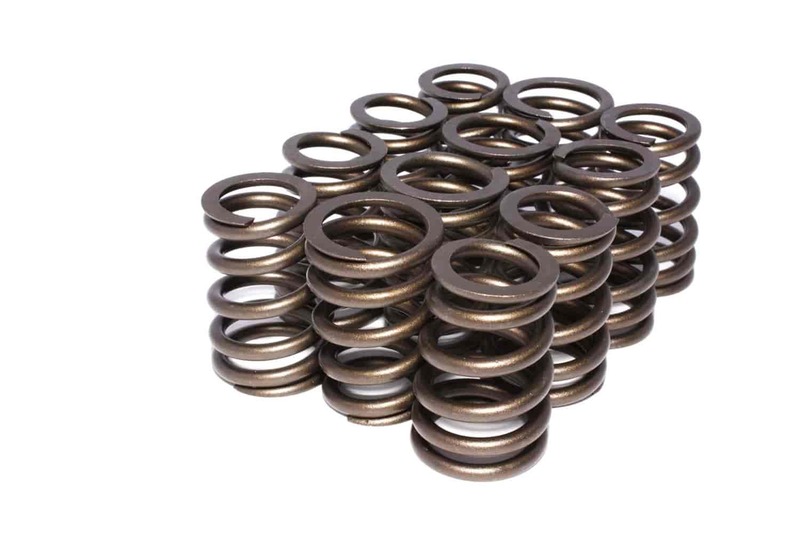 Comp Cams Conical Valve Springs are designed with a progressive pitch-driven natural frequency that increases valve train RPM limits while reducing resonance concerns and decreasing dynamic spring oscillations. This results in longer spring life and the ability to run a more aggressive camshaft. JEGS 20590 - Valve Spring Shim Kit 1.250" O.D. COMP Cams 106 - Valvetrain Assembly Spray 6 oz. COMP Cams 730-12 - 10° Titanium Retainers Valve Spring Diameter: 1.437"-1.500"